Jeremy received his LLM and PhD degrees in law at the University of Melbourne and his BA and LLB from Deakin University. He has been a postdoctoral research fellow at the Asia Research Institute and a senior research fellow at the Middle East Institute, both at the National University of Singapore (NUS). While at NUS, he lectured at Tembusu Residential College and within the Comparative Asian Studies PhD Program. 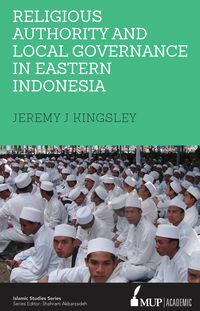 His research investigates religious and political authority in Indonesia and how this affects local governance. He has undertaken extensive field research, primarily on the eastern Indonesian island of Lombok. His work has been published in academic and public affairs journals.